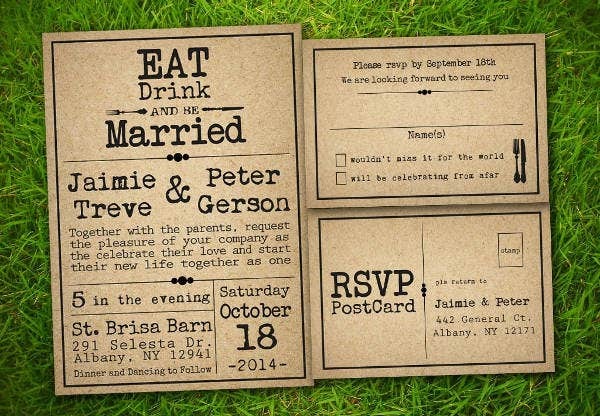 Are you planning your big wedding day and exploring the different ways you can design your wedding program? You may want to give the vintage design a shot. The word vintage makes people think of soft laces, beautiful details, and endless romance. 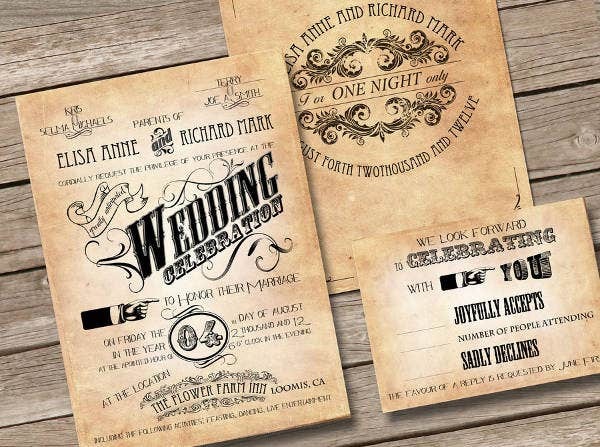 Going vintage for your wedding program prints can add a timeless and elegant style to your wedding. 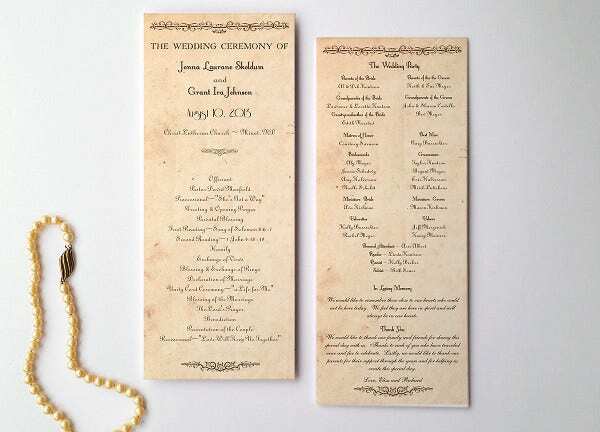 It especially matches great if your wedding is also vintage themed. 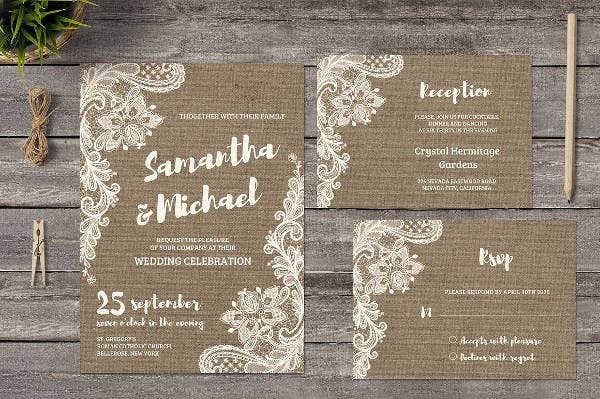 Without proper design, vintage themes often end up looking more cliche than timeless. No worries, though, because we’ve got you covered with our list of vintage wedding program templates for you to choose and customize from. You may also check out our Word Wedding Program Templates on our website. 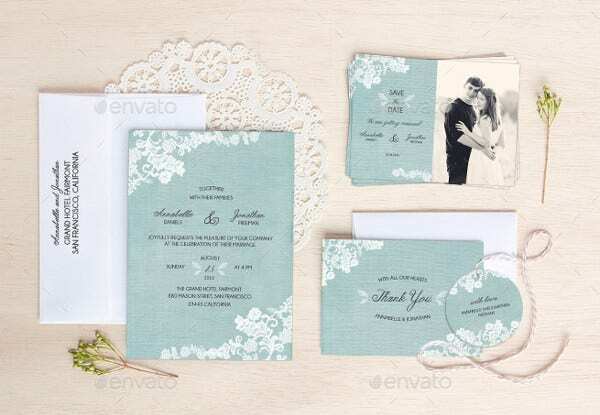 What Is the Importance of Having a Wedding Program? 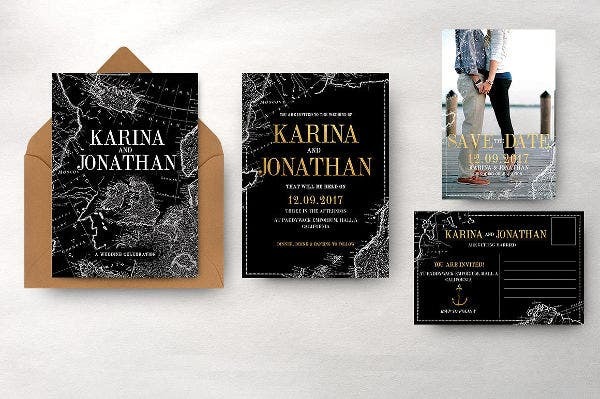 First things first, if you don’t plan on making wedding programs, you might want to reconsider. Wedding programs allows your guests to know what is in store on your wedding day. This includes special readings, in memory, and also allows you to add in a few words of thanks to those who are able to join in on your special day. It also informs your guests on who is in the wedding party. The most important aspect are the details of the reception venue, whether or not this is held in a different location. But do not worry, these are usually handed out before the ceremony begins so your guests have something to read while waiting for the program to begin. 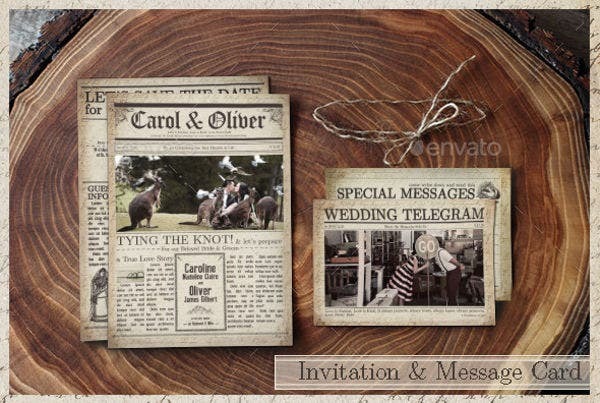 If you are looking for more designs, check out our Wedding Timeline Templates that we offer on our website. 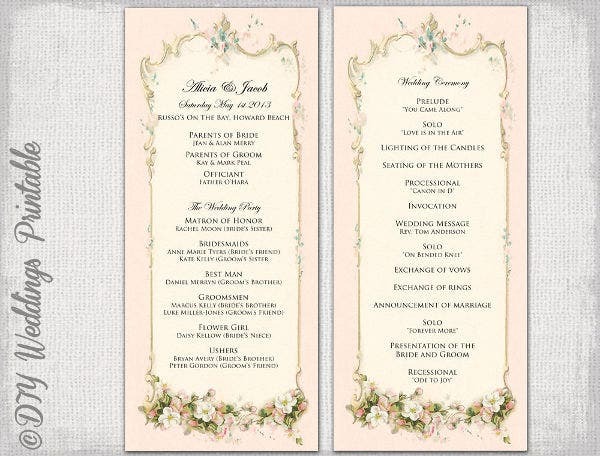 A wedding program can be a proper way of informing your guests on the events of the day. Most don’t really consider this option on their wedding plans, but having a wedding program can be a great help for your guests to know the details of your celebration. 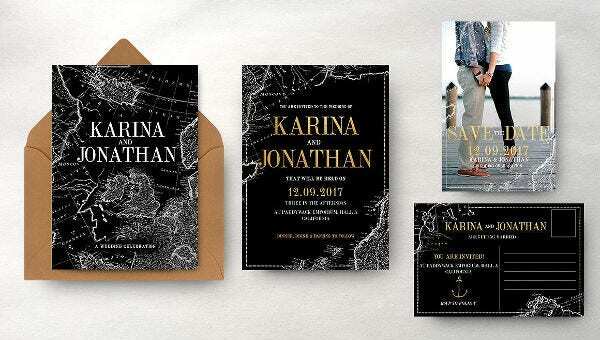 Another great use for wedding programs is the fact that your guests have a wonderful souvenir and personal keepsake from you after the wedding. The wedding program cover. You can customize your cover as elaborate or as simple as you see fit. This part of the wedding program focuses on important details such as the date and the couple’s names. Other details are a must like the venue and pictures of the couple. You can use these details as designs for your cover. Don’t be afraid to experiment with vintage! The wedding program inside cover. If you want to keep your program cover sleek and simple, it’s best to choose a simple initial detail. You can set aside some space on the inside cover for the wedding-day details. Be sure to enumerate the sequence of the events properly. The wedding party page. Upon inviting both families, there will be a lot of confusion on who’s who during the wedding. Make sure you include a list of the bridal party and their relation to the bride and groom. It is also a form of thank-you to those on the list for being a part of the special day. 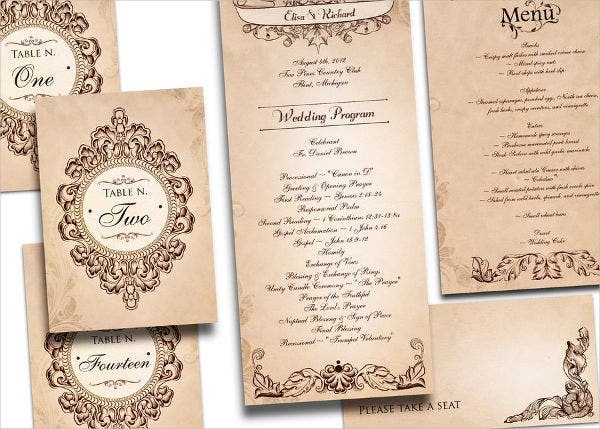 If you’re looking for more wedding program templates, you can check out our list of Wedding Ceremony Program Templates that we offer on our website.